A modern Christmas classic. 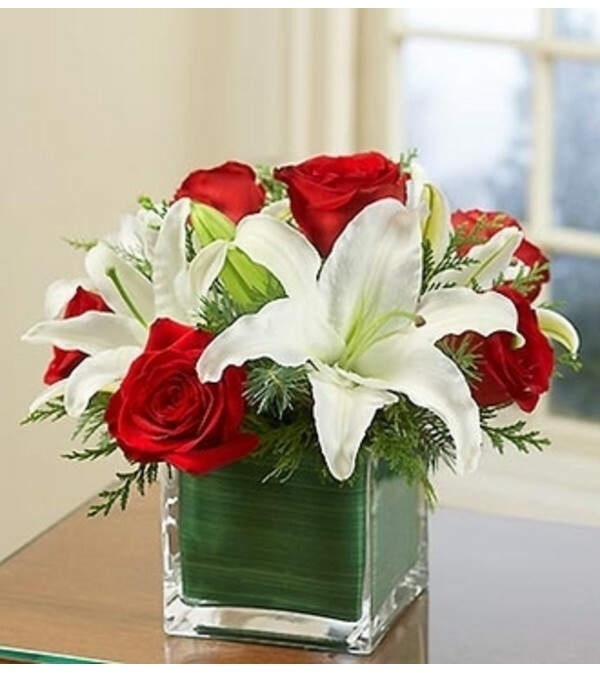 Show-stopping red roses and white lilies arrive dressed for success in a glass cube vase, gathered with holiday evergreens. 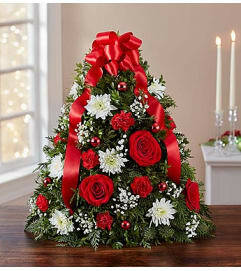 Just right for tabletops, desks, or as a thoroughly modern centerpiece arrangement. 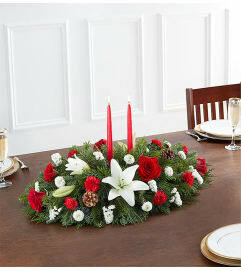 Hand-crafted arrangement of red roses and white lilies, accented with assorted Christmas greens.